An assortment of our home-made mini muffins (blueberry crumb, banana crumb, rich chocolate).Almond flakes on chocolate ones. 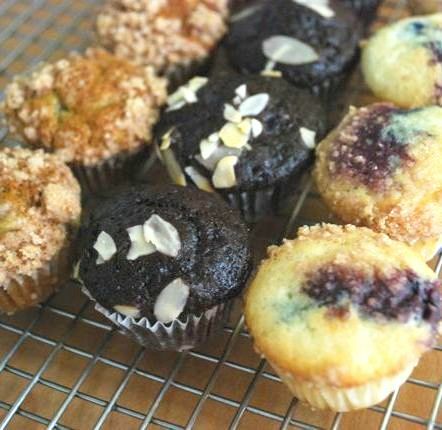 Treat yourself and your family to an assorted dozen of our home-made muffins (4 blueberry crumb, 4 banana crumb, 4 rich chocolate with almonds). Have a healthy breakfast on hand for your family. 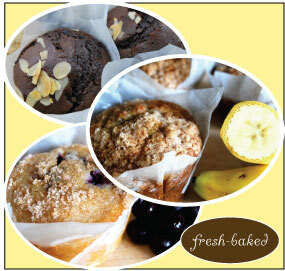 Comes with 4 Banana Crumb, 4 Morning Glory and 4 Bran & Oats muffins. Healthy and delicious, this muffin is filled with fresh carrot, apple and coconut, raisins and walnuts. Moist, wholesome and lightly sweetened muffin. Moist and delicious - made with fresh bananas and topped with brown sugar crumb. Soft and moist with plump blueberries and topped with brown sugar crumb. Is it breakfast or dessert? 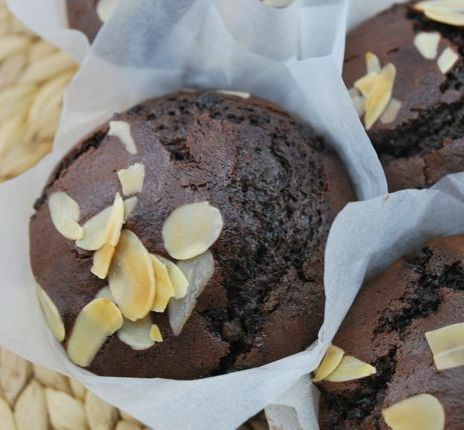 This rich muffin is made with a double-dose of semi-sweet chocolate chips and topped with a sprinkling of toasted almonds. 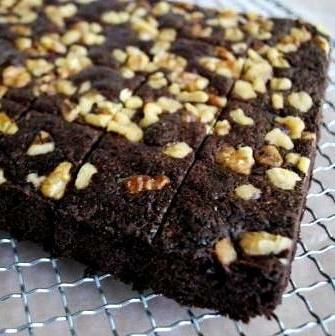 Dense, moist, rich, chocolatey and with a sprinkling of walnuts - the way a brownie should be. Each order comes with 24 petit brownies. Dense, moist, rich, chocolatey - the way a brownie should be. Frosted with our chocolate buttercream frosting and with a sprinkling of walnuts. Each order comes with 24 petit brownies. Wholesome and hearty, our Petit Banana Bread loaves are made with wholewheat flour and fresh bananas. This pack comes with two of our famous pre-cut loaves. For cookie lovers, here is a creative alternative to a birthday cake -- a giant 10-inch (25 cm) chocolate chip cookie with a customized message on top. 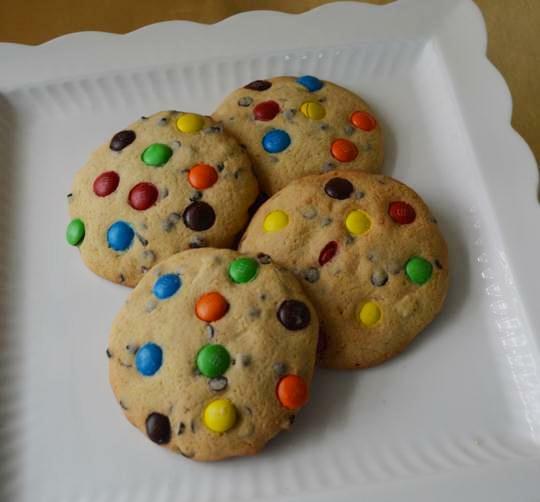 A generous assortment of our home-made cookies. Each box comes with 36 cookies in a combination of flavors (Chocolate Chip, Oatmeal Raisin and Peanut Butter).